The Slate theme turns your CumulusClips site into a minimized video experience focused on continuous video playback. It features cool grey color tones for a clean feel. Many features from the platform are disabled by the theme to focus on the central video playback. 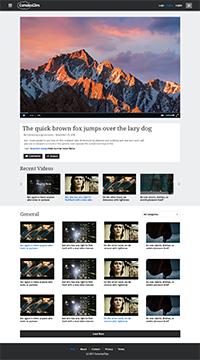 It's a responsive theme that adapts to large & medium desktops, tablets and small devices.